The creation of the Supreme Court - was it worth it? This is the 2010 annual Gray&apos;s Inn Reading. The Right Hon the Lord Hope of Craighead is the Deputy President of The Supreme Court. Lord Hope was appointed Lord of Appeal in Ordinary in 1996, and is one of two Scottish Justices of The Supreme Court. He practised at the Scottish Bar for 24 years. There are various ways of looking at it: as a change of place and name which was of major constitutional importance; as an interesting social experiment, which left it to the Justices to create a new set of rules and conventions to replace those that regulated their conduct in the House of Lords; as an ill-judged political exercise, which has cost a great deal of money and exposed the Court to pressures on its budget imposed by the Executive which the Lords of Appeal in Ordinary never encountered while they were in Parliament. Each of these three propositions may, to some extent, be true - or maybe not. They are, at least worth thinking about. Now that the Court has been in existence for nine months I should like to step back a bit from the rough and tumble of helping to set it up and reflect on what has been achieved. The concept of a Supreme Court is not an entirely easy one to grasp in our legal system. Until now we have had supreme courts both in England and Wales, Northern Ireland and in Scotland that were not, in the strict sense, supreme at all as their decisions could be appealed to the House of Lords. The courts in the Strand were given the title "the Supreme Court" by statute. In ringing tones it was declared by the 1925 Act that "there shall be a Supreme Court of England consisting of His Majesty&apos;s High Court of Justice and His Majesty&apos;s Court of Appeal, with such jurisdiction as is conferred on those Courts respectively by this Act." That title had to be changed to make way for the newcomer - the words &apos;senior Courts&apos; replacing &apos;supreme Court&apos;. Unusually, the short title of the Act itself - formerly, the Supreme Court Act 1981 - had to be given a new name too. The Supreme Court Judicature of Northern Ireland, as it was previously called, has also been re-named, by deleting the word &apos;supreme&apos;. Substituting the word &apos;senior&apos; for &apos;supreme&apos; is not a particularly happy choice of language. It suggests a kind of demotion from the previous status, which is entirely unwarranted. The Scots have been more fortunate. It has been the practice there for well over a century to refer to the Court of Session and the High Court of Justiciary collectively as the &apos;supreme Courts&apos;, although only the High Court of Justiciary is supreme in the strict sense of the word as its decisions - except on devolution issues - are declared by statute to be final and conclusive and not subject review by any court whatsoever. There is a society for whose membership all solicitors practising in those courts are eligible. It is called the Society of Solicitors in the Supreme Courts of Scotland. It was formed in 1784 and is incorporated by Royal Charter. But it is not referred to in any statute, so there was nothing to amend and the Constitutional Reform Act 2005 does not require that its wording be changed. Consequently the word &apos;supreme&apos; has not been dropped and the Society has retained its name. If you were to telephone the Court of Session today you would be answered, just as you would have been a year ago, by a friendly Scots greeting telling you that you were speaking to the &apos;supreme Courts&apos;. I do not think that you would have found this confusing. The fact is that the words &apos;supreme Court&apos; are used to describe a variety of courts at different levels. It is commonly used in various states in the Commonwealth such as The Bahamas to describe first instance courts of superior jurisdiction. Its Supreme Court resides below the Court of Appeal in the judicial hierarchy. At the other extreme there are courts that are undoubtedly supreme, such as the Supreme Court of Canada. But that title is not found at that level everywhere. Its equivalent in Australia is called the High Court of Australia. The most supreme court of all, of course, is the Supreme Court of the United States. It occupies a central place under the Constitution which does not appear to be matched precisely anywhere else, and which could certainly not be matched in this country. In our case the decision to call the new court the Supreme Court was not set in stone at the outset. It is just that no-one could think of a better name for it. But it was necessary to make in clear to everyone that it was not to be modelled on the US Supreme Court - that it was just a change of name, not a change of functions or jurisdiction. A consultation paper was issued on the Supreme Court some weeks after the announcement had been made. A curious feature of it was that, unlike all the other judges and organisations such as the Jill Dando Institute, the Federation of Small Businesses and Gingerbread, the Lords of Appeal in Ordinary were not listed as consultees. &apos;Have they forgotten about us?&apos;, we wondered. It was interesting too not just for what it did say but also for what it did not. Respondents were not asked whether the appellate jurisdiction of the House of Lords should be replaced. That was taken as a given. It was after all a political exercise, decided upon at the outset and irreversible for political reasons. The justification of it on grounds of principle, which many had been arguing for without success previously, came later. There were some other curious features too. The paper did not ask whether the new court should hear Scottish criminal appeals, although there was a question as to whether the system that appeals lay as of right in civil cases from Scotland should remain unchanged. The continuing impact of the Treaty of Union and the Claim of Right in Scotland was not explored. The possibility of narrowing its jurisdiction to confine it to constitutional issues only was not raised either. The consequence, said two academic commentators, was that the country remained ignorant of what it would mean to create a genuinely new Supreme Court for the United Kingdom in the twenty-first century. I am not sure that this was a fair criticism. The creation of a genuinely new Supreme Court, as the commentators described it, would have been a much greater undertaking than was ever likely to appeal to the government. It would have had to begin with a genuinely open-ended consultation process. Detachment of the idea from politics would have been a pre-requisite too. It was quite obvious when, on a motion that had been proposed by Lord Lloyd of Berwick, the Constitutional Reform Bill was sent for examination by a Select Committee of the House of Lords rather than by a Committee of the whole House so that it could receive evidence as well as deliberate, that those on the Committee who were members of three main political parties were looking at it from fixed positions. There seemed to be no room on either side for compromise. I remember Lord Falconer of Thoroton, the Lord Chancellor, when responding to detailed criticisms in the debate in the House at the Report Stage and again at Third Reading, inviting the House to address the issue as one of principle. The guiding principle was that of separation and, as with the reform of the position of the Lord Chancellor, the aim was to achieve this as simply and as quickly as possible. A Royal Commission would have been the way to deal with it, if there had been a genuine desire to create something new. The situation would, of course, have been quite different if we had been contemplating a written constitution. But in our un-codified system, in which the British people on the whole, as academic commentators like to remind us, are notoriously disinterested, there is no obvious place for a court of that kind. It is hardly surprising that the opportunity of re-writing the extent of the court&apos;s jurisdiction was not taken. The political aim could be achieved without it. A change of place and of name was all that was required. That all having been said, and despite the desire to change as little as possible, the move - paradoxically, perhaps - has turned out to be one of great constitutional importance. It has created something that is new. The fact that it has separated the tribunal of last resort from Parliament is not just a means of ironing out a constitutional wrinkle. It has changed the public&apos;s perception of what that tribunal stands for. The very fact that these decisions are now being issued in the name of a court - of the Supreme Court indeed - does seem to have given them an added authority. Transparency has lifted the veil which always hung over decisions of the House of Lords. I do not think that the Justices have changed their perception of their relationship with the other organs of government. But under our system the law - public law in particular - is never settled. The boundaries between what can and cannot be done are constantly being tested on all sides. That was as true when the appellate jurisdiction resided in the House of Lords as it is today. But each adjustment that is made, however slight, is now that much more conspicuous. Although the aim seemed to be, in the interests of simplicity, to change as little as possible, it was never in prospect that Justices in the new court would behave in exactly the same way as they had done in the House of Lords. It was quite difficult, while the plans for the move were being discussed, to anticipate what was going to happen. To some extent this was because it would have been unwise to try to decide more than we needed to at that stage. &apos;Do not frighten the horses&apos; is a useful maxim in such circumstances. The most significant force for change, as it turned out, was the fact that the Supreme Court was released from the rules and conventions of the House of Lords and the Justices were free to develop them for themselves. The rules and conventions of the House, always carefully observed by the Clerk to the Judicial Office, gave dignity to the proceedings. But they also gave rise to that rather lazy feeling that characterises a society whose traditions depend on ceremony and the ever-watchful eye of officials who have been trained to ensure that they are adhered to - the feeling that, because everything has always been done that way, it must be right. Those of you who were fortunate enough to visit us in the House of Lords, where we sat in Committee Room 1 on the east front of the Palace of Westminster overlooking the River Thames, will know what I mean. First, once you had found your way up there through the huge building, there was the long, very long, red-carpeted corridor. Close to the far end were the door-keepers, supremely and obviously in charge, immaculately turned out in white ties and morning dress, with magnificent gold badges on their chests. They marshalled the lawyers and others who had gathered outside the Committee Room into some sort of order as the time approached for the hearing to begin. Then the words &apos;Their Lordships&apos; were shouted out by the senior doorkeeper, and the Law Lords appeared from round a corner at the far end of the corridor. They were bowed to, one by one, as they entered the Committee Room by their own door before everyone else. And there they were, already seated, pens or pencils in hand and ready for the argument when eventually the door was thrown open, the word &apos;Counsel&apos; was shouted out - always a rather intimidating moment for counsel - and the lawyers, their clients and the public were admitted to their presence. From the very first the Law Lords had the advantage. And so it was at the end, when the words &apos;Clear the Bar&apos; were shouted out and everyone except the Law Lords had to clear out in a hurry, grabbing such of their belongings as they could get hold of before the door was closed and locked and the Law Lords were left in peace to discuss the case between themselves in private. Judgments were given in the red and gold magnficence of the Chamber itself. Once again the Law Lords assembled first, the Mace was carried in and laid on the Woolsack and a Bishop said prayers before the doors were opened, the word &apos;Counsel&apos; was shouted out by a doorkeeper and the counsel and the public were admitted to observe the ceremony. After the case was called each of the noble and learned Law Lords rose in turn to deliver their speeches, and the motion that decided the case was put and voted on. In retrospect, it was quite impossible for anyone not familiar with the case to understand what was going on. The ceremony followed a pre-ordained pattern: always the Mace, because proceedings could not be conducted in the Chamber without it; always prayers, for the same reason; always the same formula when the motions were put and voted on; and the Law Lords invariably referring to each other as &apos;my noble and learned friend&apos; because that was how they were expected to address each other in the House. But no mention was made of the subject matter of what was actually being decided. Today in the Supreme Court all that has gone and, it has to be confessed, much of the dignity. There are no long corridors in our building. We have an attendant who is suitably robed, but no exquisitely attired, commanding doorkeepers. The courtrooms are designed for the convenience of the public. We admit the public to our courtrooms first, as they are larger and many more people attend than previously. Our visitors since last October have numbered about 700 to 800 a week - about ten times as many as we might see during a good week in the House of Lords committee room. Counsel have the advantage as they watch the Justices come in and take their seats. Some start speaking while the Justices are still struggling to locate the relevant papers among the bundles in front of them. They enjoy the advantage at the end too, as in the Supreme Court it is the Justices who clear out in a hurry when the hearing ends, grabbing such papers as they can, and disappear into another room to discuss the case while counsel are left to pack up their belongings at their leisure. That is not all. The Justices no longer refer to each other as &apos;noble&apos;, or &apos;learned&apos; or even &apos;friends&apos;. Revisionism - Puritanism, indeed - has extended to the way judgments are given too. No mace, no prayers, no motions put and voted on. Judgments need not be given out in open court at all. If they are, an explanation is given of what the case is about so that members of the public can follow what is going on and press releases are given out to the media. In the House of Lords it was the Law Lords who came first. Everyone else was there, one felt, on sufferance. In the Supreme Court the reverse is true. Democracy has taken over. Access to the building is very simple. The public are made to feel that they are welcome and - as it is a public building - to appreciate that in that sense it is their court. Other aspects of practice which required attention were those that affect how the Justices themselves are organised. This is where the greatest revolution has taken place. In the House of Lords practice was largely in the hands of the Judicial Office. The parliamentary status and trappings of the final appeal were its prerogative, and it had built up years of experience of how things were done. Here in the Supreme Court there was room for innovation. What should we call each other? Should we wear robes? What styles should we adopt when preparing our judgments? As we are no longer required to give speeches, should we join with each other in producing joint judgments or even single judgments in the name of the court? As we can no longer refer to what we have written as speeches, what should we call them? Should we sit in larger panels? To sit more than five was always difficult in the House of Lords, as this required us to move to a larger committee room which was not always available. In the Supreme Court we have the luxury of a courtroom, Court 1, which has been specially designed to accommodate panels of up to nine Justices. So the old conventions need not apply. Should we alter our approach to giving permission to appeal? This is not a matter of concern to Scotland, as leave (as it is still called in the Court of Session Act) is not normally required for appeals from the Court of Session. But it is a matter of very real concern in the other two jurisdictions, which do not allow appeals to go to the Supreme Court without permission. One might have expected these questions to present little difficulty to the Justices. But they are strong-minded people, and without any law or convention to guide them there was ample room for different views, ranging from the most conservative to the most liberal. For us to be let loose in such an unstructured world was an interesting social experience. In the end resolution of our differences has been arrived at by a process of evolution, discussion and compromise. We decided to retain the titles &apos;Lord&apos; and &apos;Lady&apos; for the time being, but the appointment to the court in April of this year of Sir John Dyson to fill the vacancy which had existed since 1 October 2009 has created a problem for us which is still not resolved. To the surprise of some we have become accustomed to referring to ourselves collectively as &apos;Justices&apos;, but to refer to each other individually as &apos;Justice&apos; is another matter. That, at present, is a step too far. People felt very strongly about robes. There was never any desire to wear them every day. We had got used to sitting without robes in the House of Lords, and we sit in the same building now as members of the Judicial Committee of the Privy Council which is not a court and where robes are never worn. The question was whether there should be a robe for special occasions. There were some who said that, if robes were provided, they would refuse to wear them. But in the end, as it became clear that we would not be given a place at the State Opening of Parliament unless we were properly robed, the objections were withdrawn. Happily everyone was wearing their official robe at the opening ceremony. A team photograph of us, thus attired, was turned into a postcard. It proved to be a best seller in the Supreme Court gift shop. A new one has been produced, following the appointment of Sir John Dyson as our twelfth Justice. Observers will have noticed some rather more important changes in our behaviour. No longer constrained by the rules of the House, we have been able to re-shape the way our judgments are delivered. In the House of Lords the reasons which each Law Lord produced when judgment was being given in the Chamber, always in strict order of seniority, were usually referred to as speeches. Lord Bingham preferred to call them opinions - not judgments, as the Lords of Appeal were sitting as members of a committee advising the House in whose name the judgment was given. Now, as the Justices are sitting in a court as members of the Supreme Court, they refer to what they have written as judgments, not opinions - although the word &apos;opinion&apos; is still used in the Judicial Committee of the Privy Council when the Board is advising Her Majesty as to what her judgment should be. We are scrupulous in our choice of language. Several judgments have been delivered on behalf of the Court by one Justice. There have been others where a Justice has been able to say at the start of his or her judgment that other Justices agree with it. This makes it unnecessary for those who agree to add a separate concurring judgment. And we have developed the practice of putting the leading judgment first. The others usually follow in order of seniority, with dissenting judgments at the end. This is more in keeping with the way other courts now behave, such as the Supreme Court of Canada, the High Court of Australia and the Court of Session too. But we have rejected suggestions that we should strive to arrive at a single judgment in all cases. We value our independence from each other, and our right to say what we believe in if we want to. There are, of course, cases where a single judgment is preferable. But if we wish to dissent or to express different reasons for arriving at an agreed conclusion then we are entitled to do this, and no one is actively discouraged from doing so. Lord Reid, who declared that it was never wise for the House to have only one speech dealing with an important question of law, would have approved. We have been sitting more often in larger numbers. The default position is that we sit in panels of five. But our practice is to sit in panels of seven or nine if the Court is being asked to depart from a previous decision, or there is a possibility of its doing so, or if the case raises significant constitutional issues or for other reasons is of great public importance. It has been suggested that we should always sit in these larger numbers. But this would be likely to reduce the number of cases we could hear each week, as we have to serve the needs of the Judicial Committee as well as those of the Supreme Court. A selective approach enables to us to make the most efficient use of the resources that are available. The selective approach raises questions as to which Justice should sit on which case. Courts which always sit en banc, such as the US Supreme Court, do not need to address this problem. Nor do courts whose function is limited to dealing with constitutional issues in which all its members have equal expertise. As we take all sorts of cases, we have to decide upon the membership of the panel for each case individually. It has been suggested that we should sit in rotation or that the Justices should be chosen for each case at random. But that approach would mean abandoning the convention that the two Scots Justices sit on all appeals from Scotland, if available. It would also risk depriving the panels of the assistance of those members of the Court who had expertise in the point at issue. One might end up with a criminal appeal from the Court of Appeal in England, for example, being heard by five Justices who had never sat in an English criminal court at all. So here too a selective approach is being adopted, as it was in the House of Lords, under the supervision of the President and the Deputy President. The result is that the Panel will normally include at least two Justices with experience in the area of the law that is the subject of the appeal. Separation of the Law Lords from the process of legislation could have been achieved without any significant cost - had this been the sole aim - by changing the House&apos;s Standing Orders. It would have been possible by this means to confine the serving Law Lords&apos; right to participate in the business of the House to judicial work. Of course this would not have made much difference to how the Law Lords would have been perceived by the public. It would not have satisfied everyone. But it would have been an answer to any criticism of the system in Strasbourg. In retrospect, as budgets are now being cut severely right across the public sector, that might have been the wiser course. The House of Lords had conducted its appellate work very efficiently for many years at minimum extra cost. This was because most its facilities - all its corporate services such as accommodation, IT and security - were shared with other users of the House. It had a small dedicated staff headed by the Principal Clerk which had to be budgeted for. But the overheads (excluding judicial salaries and pension contributions, which the Supreme Court now has to pay for) were small, costing no more than about £750,000 per annum, and the administration was conducted with a very light touch with the minimum of bureaucracy. In retrospect it is remarkable that the Lords of Appeal in Ordinary were able to achieve so much with so little for so long. In those happy days, however, before the crash of 2008 which led to the current financial crisis, cost was not a relevant factor. It was never in prospect that the cost of setting up the new court, including the cost of refurbishing the Middlesex Guildhall, would be met by the Treasury. The proposal from the outset was that this would have to be funded by means of a levy on court fees in England and Wales contributed by Her Majesty&apos;s Court Service, by funds provided by the Department of Constitutional Affairs, now the Ministry of Justice, in respect of publicly funded cases in the Supreme Court and for services provided by the Judicial Committee of the Privy Council and by relatively small contributions by the devolved administrations in Scotland and Northern Ireland in proportion to the amount of business coming from them. The refurbishment was to be secured by means of a private finance initiative contract, and to be paid for by means of the rent paid for the refurbished building to the principal contractor. I do not know whether the Chancellor of the Exchequer was consulted. I suspect not, as his answer to any request to fund the project wholly, or even mainly, out of capital provided by the government would almost certainly have been in the negative. It was never in doubt that, although some of the running costs would be met from the surcharge on court fees and the contributions from Scotland and Northern Ireland, a substantial proportion would have to be paid for out of funds provided by the Ministry of Justice. Lord Falconer said that the Supreme Court was to be a body with its own budget and its own ability to determine how it spent the money assigned to it by the Treasury. That money would be handed over to it and could not be, as he put it, nibbled away at for other functions by the minister. It would have to convince the Treasury of the seriousness of its bid. But there was no suggestion that the comparatively small annual budget that would be needed to enable the Supreme Court to function properly would be likely to put undue pressure on public funds. A note of warning was sounded about this when the details were being debated before the Select Committee. Lord Howe of Aberavon, who as Geoffrey Howe had of course served as Chancellor of the Exchequer, was a member of that Committee. He pointed out that the source from which its funds came was vital to the court&apos;s independence from the Executive. He described the system that Lord Falconer was envisaging as simulating the way the British Council and the BBC World Service has to be financed through the Foreign Office. It is well known that those organisations have experienced particular difficulty in obtaining the funding that they need for their activities. He said that he was anxious to suggest a way round that. He told the Committee that his experience as Chancellor had revealed to him that the House of Commons is free to endorse its own estimate without reference to the Treasury, and that the House of Lords is run on the same principle. &apos;The House of Lords&apos;, he said, &apos;pushes the estimate of its own costs over to the Commons and the Commons happily obliges.&apos; He added that the funding of the Appellate Committee of the House of Lords was provided under that means. There was no cash limit on the expenditure on the judicial side, so long as the House of Lords could persuade the Commons that it was okay. In this rare area, he said, responsibility for the independence of the judiciary was transferred from the executive to the legislature. The position of the various departments of the Executive, of which the administrative arm of the Supreme Court is now one, is quite different. They are vulnerable to the misfortunes of politics and, as we heard this week, to the budgetary pressures that are unavoidable in government. That was what Lord Howe was warning against. His advice was dismissed by the proponents of the scheme when it was given six years ago. In his reply Lord Falconer pointed out that there needed to be some democratic accountability. The idea that the Supreme Court&apos;s budget estimates should be handled by the House of Commons was, in truth, never likely to get off the ground. In a lecture which he gave to the Australian Institute of Judicial Administration in May 2009 Chief Justice French considered the arguments for funding directly by Parliament but rejected them on the ground that ministerial responsibility for the funding of courts is necessary in a democratic society. It is worth noting too that experience in the United States indicates that Congress, on whose handling of such matters there are few, if any, constraints, does not defer automatically to budget requests submitted to it by the Supreme Court. Congress is part of the ordinary federal budgetary process. These requests cannot be altered by the Office of Management and Budget officials, but they have to pass scrutiny by the judiciary subcommittees and it has been suggested that unfavourable decisions may influence their response to them. If Lord Howe was suggesting that our Supreme Court&apos;s budget should be subjected to scrutiny in that way, it was at best an uncertain remedy. But the true significance of his intervention lay not so much in the solution that he was suggesting as in the problem that he identified. The problem was how to preserve the judiciary&apos;s independence from the executive. Moving the appellate jurisdiction from the House of Lords would deprive the nation&apos;s highest court, where independence matters most, of what he referred to as the complete detachment and benevolent protection of the legislature. This was not seen, in April 2004, as much more than a theoretical difficulty which would not be at all likely to cause problems in practice. How things have changed. Demands for savings, such as almost every public department is now threatened with, are remorseless and uncompromising. As departments are now being asked to cut their budgets by 25% on average over the next four years, everything that they do is liable to be affected. Most of the finance for the Supreme Court&apos;s activities is provided for out of public funds, and the court is answerable to Parliament for its expenditure. So, as a department of state whose use of public funds is monitored by the Treasury, it is not to be immune from this process. Indeed it has been made clear that the court will be expected to make cuts from this year&apos;s budget before it is approved, in the same proportion to everyone else. This is not surprising, in a world in which cuts are already being faced at every level within the public sector. We cannot reasonably expect to be immune from this process. But there has been no indication yet that the scale of the cuts which we must achieve is negotiable. What does this mean for the rule of law? As has often been said, at its cornerstone lies the independence of the judiciary. As Lord Bingham of Cornhill puts it in his recent book on the subject, a truly independent judiciary is one of the safeguards against executive lawlessness. This is something that we tend to take for granted in this country. If reinforcement is needed it is to be found, some will say, in the Constitutional Reform Act which places a particular responsibility to uphold this principle on the Lord Chancellor. Section 3 of the Act, under the heading &apos;Guarantee of continued judicial independence&apos; states that he must uphold this principle and that, in doing so, he must have regard to the need for the judiciary to have the support necessary to enable them to exercise their functions. But perceptions as to what conflicts with this principle vary, nowhere more so than when it comes to spending money. This is not something to which Lord Bingham devotes much attention, apart from the risk that the acceptability of his judgments might affect the decision-maker&apos;s salary. The narrow view is that the boundary is crossed when the Executive deprives the judges of the right to exercise their own judgment by putting pressure on them directly to do or say what it wants of them. One can think of plenty of examples round the world where that happens, and we must of course prevent that ever happening here. But there are other ways in which the independence of the judges may be compromised. Depriving the judiciary of the resources which they need to do their job properly is one of them. Of course, the issue of resources is bound to be contentious. The judges cannot expect to be immune from the need for cost-saving in the public interest and to use their resources efficiently. But the bottom line - the level below which they cannot be expected to go - must be for them to determine, not for officials employed by the Executive. That, as I have said, is the principle which is applied to relations between Parliament and the Treasury. The Treasury has to respect the independence of Parliament. In the final analysis Parliament cannot be told what to do by the Executive. That is the principle which should govern the relationship between the judiciary and the Executive too. This was what Lord Howe was asking for. His efforts to persuade the Select Committee that it should apply to the Supreme Court were not successful. That is regrettable. But it cannot be allowed to be the end of the argument. In his Sir David Williams lecture on the rule of law Lord Bingham said that the Lord Chancellor&apos;s conduct in relation to what he described as the constitutional principle of judicial independence would no doubt be susceptible, in principle, to judicial review. In a footnote he dismissed the objection that it was not justiciable. A constitutional principle that could not be legally enforced would not appear, he said, to be very valuable. There is more than an element of wishful thinking here however, and I am not sure, with great respect, that he was really facing up to reality. There is a difference between what the position is in principle and what can be done in practice. Nevertheless the constitutional principle is there, stated in black and white. With that in mind, it is worth having a closer look at the issue. Much was made by the Government, when the Bill was being debated, of the opportunity that the move to a Supreme Court would create for improving public access to what the Court does and what it stands for, and for improving the facilities for the judges which had been constrained in the House of Lords by lack of space. These benefits were planned for when the refurbishment was being designed, and they certainly have been realised. Public access has been assisted and encouraged by the design of the entrance hall and a much improved website. A large open-plan room has made it possible to make a small increase in the number of secretaries, from seven to nine. A larger room has also made it possible to increase the number of judicial assistants from five to eight. Substantial benefits have indeed come from these increases. But these improvements do not come without cost. More employees to supervise public access mean more wages and salaries, to be added to the wages and salaries of members of staff who are employed to provide the services that were previously provided by the House authorities. Overall however the increase in numbers has been quite modest, from a total of 23 in the House of Lords to a total of 39 in the Supreme Court. There are also two agency and one temporary members of staff while the staff requirements are being assessed. To the cost of paying for these employees must be added sum payable as rent to the developer to pay for the cost of the conversion, the costs of maintaining and servicing the building and its equipment and annual cost of the Justices&apos; salaries and contributions to their pensions. The writer was speaking of the court system as a whole, not about the Supreme Court in particular. But what is true of the whole is true of its parts too. The sad fact is that we have been moved from the unshakeable protection of Parliament to a system which exposes us to demands for savings against which Ministers may not wish to protect us, and would be unlikely to be able to do so if they did. I think that it was Mao Tse Tung who, when asked whether the French Revolution could be considered a success, replied that it was too early to tell. I think that I can be a little bit more positive in reply to my own question. We no longer live in an age of deference. Giving an institution a grand name is no guarantee that it will be respected. The Court has made no attempt to go down that false trail. It does not, as I have explained, strive to assert its dignity by wearing robes and indulging in ceremonies. Everything depends on what it does - how the Justices conduct themselves, on what they say and write about. As I mentioned earlier, Lord Falconer&apos;s response when confronted by practical issues that might give rise to difficulty, was to brush them aside on the ground that the issue was one of principle. It always seemed to me that the more important question was how it would all work out in practice. Taking one&apos;s stand on principle - the principle of separation - is all very well. But in the end of the day the Justices have a job to do. The question is, are they in a position to do it better now than they would have been if they were still working in the Palace of Westminster. I think that the answer to that question is, undoubtedly, yes. I have already mentioned the ways in which it has been possible to open up what the Court does to the public. But there is much more to it than that. At the top of our list I would put the benefits of increased space, and of being located in our own building. We have been able to increase our number of judicial assistants, from five to eight. This has had a marked effect on the service that they can provide. The routine work is spread more widely and there is more time for them to think and to explore avenues for research. That has led to more discussion both among themselves and with the Justices than was ever possible in the case of the Law Lords. This importance of this, especially in cases where we sit in larger numbers, should not be underestimated. The added value that a final court of appeal brings to the judicial process is the time that this gives for thought and for discussion. Removed from the distractions of the House, this is something that is proving to be increasingly valuable. We also now have our own library. The library of the House of Lords has a generous collection of law books, but much of it was in the wrong place. The part that was on the Law Lords&apos; Corridor suffered from lack of space and, as it was under-resourced, was not very well organised. The IT systems, shared with the rest of the House, were rather elderly. We now have our own dedicated systems which have made it possible for us greatly to improve the service that it gives to the Justices and to contemplate filing documents electronically. The space that the Registry occupies, and its ability to deal with the public, have been greatly improved. One has only to contemplate what we would lose if we were to be moved back to the Palace of Westminster and squeezed into the places available to realise the scale of the benefits. Such a move now would, really, be unthinkable. It is not just that one cannot turn the clock back. It would destroy the institution that has just been created, and with that all the opportunities that now exist for its further development. Whether the Justices are yet making best use of these benefits is another matter. Perhaps it is not for me to say. So, like Chairman Mao, I would prefer reserve my position on that matter. But the opportunities that these improved facilities give us are such that I can say, without reservation, that the creation of this new court was worthwhile. It is all the more important, then, that it should not be undermined by cuts in its budget which would make it impossible for it to continue to make proper use of these greatly improved, but entirely necessary and appropriate, facilities. We will do all we can to see that this does not happen. See the Supreme Court of Judicature Act 1873; the Supreme Court of Judicature (Consolidation) Act 1925; Supreme Court Act 1981, section 1. Constitutional Reform Act 2005, section 59(1). Criminal Procedure (Scotland) Act 1995, section 124(2). Constitutional Reform; a Supreme Court for the United Kingdom , CP 11/03, July 2003. Chris Himsworth and Alan Paterson, A Supreme Court for the United Kingdom: views from the Northern Kingdom (2004) 24 Legal Studies 99, 118. See the Report of the Select Committee on the Constitutional Reform Bill (HL) (July 2004): Constitutional Reform Bill (HL), HL Papers 125-1 (Report), 125-II (Evidence). Hansard, HL Debates, vol 667, cols 808, 1213, 1568. Court of Session Act 1988, section 40(1). Section 23(6) of the Constitutional Reform Act 2005 provides that the judges other than the President and the Deputy President are to be styled &apos;Justices of the Supreme Court&apos;. Eg Application by Guardian News and Media Ltd  UKSC 1. Eg In re Sigma Finance Corporation  UKSC 2. Eg R(E) v Governing Body of JFS and others  UKSC 15. Seven in R v Horncastle  UKSC 14, Application by Guardian News and Media Ltd  UKSC 1, HM Treasury v Mohammed Jabar Ahmed  UKSC 2; nine in R(E) v Governing Body of JFS and others UKSC 15; Norris v Government of United States  UKSC 9. Report of the Select Committee on the Constitutional Reform Bill (HL) (July 2004): Constitutional Reform Bill (HL), HL Paper 125-II (Evidence), Q56. The Coalition Government&apos;s first Budget was presented to the House of Commons by George Osborne on 22 June 2010. Chief Justice R S French, Boundary Conditions - The Funding of Courts within a Constitutional Framework, Melbourne, 15 May 2009. Eugenia F Toma, Congressional Influence and the Supreme Court: The Budget as a Signalling Device, 33 J Legal Stud 131, 134 (1991); Frank B Cross and Blake J Nelson, Strategic Institutional Influences on Supreme Court Decisionmaking, 95 Nw U L Rev 1437, 1465 (2001-2002). Parliamentary approval for the court&apos;s spending plans is sought through Supply Estimates presented to the House of Commons. Tom Bingham, The Rule of Law (2010), p 25. 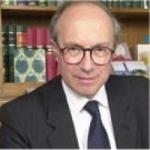 Lord Bingham of Cornhill, The Rule of Law  CLJ 66. See Supreme Court Practice Directions, PD 14.1 which states that the Supreme Court intends to take full advantage of the opportunities offered by modern information technology. I am grateful to my judicial assistant, Joseph Barratt, for his help in preparing this lecture.